1. 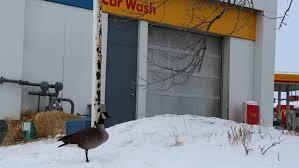 Instead of heading south for the winter, a Canada goose has been squatting at a Winnipeg, Manitoba car wash. The goose, nicknamed Will, undoubtedly for his "strong will" to avoid capture, appears to be in good shape, and is being fed by staff at the car wash, local schools and curious spectators. The goose has been living in the car wash since October. Staff at the Wildlife Rehabilitation Centre has been trying to rescue the goose since Christmas, without any luck. They hope to capture the bird to make sure it's OK, but every time someone tries, it gets away. Have you ever seen an animal or bird "living" in a strange place? 2. 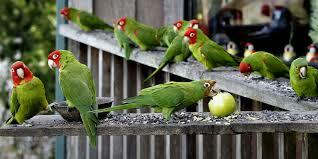 Animals and birds sometimes end up living in the strangest places. And whether through adaption or assimilation, they often survive, and even thrive. How many of these strange animal colonies are you familiar with? There is a colony of Rhesus Macaques flourishing in the humid swamps of Florida, particularly the Silver River State Park. In 1938, a tour boat operator released the Macaques in an attempt to attract more business. More than 60 years later, the already-established colony received a boost in the form of Hurricane Andrew. The powerful storm destroyed animal testing labs in Florida, releasing more Macaques into the wild. Traditionally found in Africa and parts of Asia, Australia has a feral camel population of 1 million. The colony reproduces at an incredible rate, doubling in size every 9 years. The camels were introduced in 1822 by Conrad Multe-Brun, who needed the hearty creatures to explore the desolate Australian deserts. In the early 1990s, some farmers in Texas believed emus would be the next cash-cow. When these investments never came to fruition, many Emus were left to fend for themselves in the desert. Given that their natural habitat in the Australian outback is very similar to that found in Texas, the Emus flourished – and today their flock contains hundreds of the large, flightless birds. 3. Sometimes animals end up in the strangest places --probably no fault except their own. Naturally inquisitive animals sometimes get themselves into the oddest places. Have you ever heard of any of these? A sea lion found itself in the back of a police squad car in Imperial Beach, San Diego, California in April 2015. It appears the pup wandered away from the shoreline and waddled five blocks to Mar Vista High School. School staff called in San Diego County sheriff's deputies to "investigate." Animal Control officers and SeaWorld workers arrived soon after to tend to the pup. 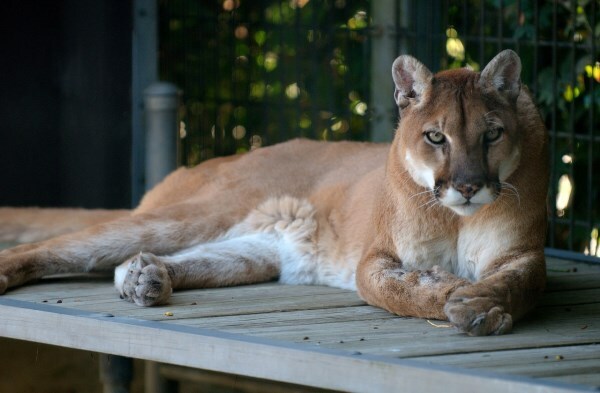 Famed Los Angeles mountain lion P-22 was found trapped in the crawl space of a Los Feliz neighborhood home on April 13, 2015. After attempts by California Fish and Wildlife to coax him out with a tennis ball launcher and shooting a few beanbag rounds into the crawlspace failed, the area was cleared so the feline could – and eventually did – come out on his own. On April 1, 2015, a coyote surprised tenants when it was seen above L.I.C Bar in NYC, where it pranced across the pub's roof. Police and animal control officers responded and tried to snare it, but the coyote nimbly escaped through the open window of a vacant building nearby.